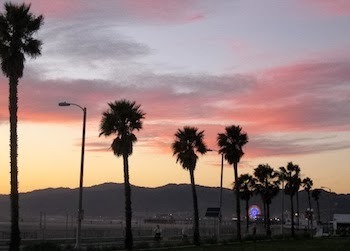 Santa Monica, California is a great place to live! Of course, we know the entire Los Angeles area is great too. Most famous for it's beautiful beach climate and geography, Santa Monica is a highly popular tourist location. Within minutes you can be in Hollywood or visit the midway style Santa Monica Pier. Another hot spot is the Third Street Promenade, which is an outdoor, pedestrian only shopping area that spans 3 blocks. With so much to do, it can be difficult to find time to keep your home tidy. That's ok. This our specialty. The European Maid Company has been servicing the Santa Monica and Los Angeles area for over 26 years. We work with you to fit your schedule and provide high quality, personalized maid service. Because we are local, we always arrive to appointments promptly and have nurtured long lasting relationships with our clients over the years. Our service categories include house cleaning, home cleaning, house keeping, maid service and office cleaning. We service the Los Angeles, Ca and Santa Monica, Ca areas. We look forward to meeting you and it would be our pleasure to make your home or office a better place.